The attacks hit similar targets as on Thursday -- weapons caches, fighters and military equipment, the official said. US warplanes pounded Al-Qaeda targets in Yemen for a second straight day Friday, killing eight militants, security and tribal sources said as Washington boosts its air war against the jihadists. A defence official in Washington told AFP that American forces conducted "about 10" strikes in Yemen on Friday. The Pentagon said on Thursday it had carried out more than 20 strikes against Al-Qaeda in the southern provinces of Shabwa and Abyan and the central province of Baida. Yemeni officials said at least 12 suspected militants were killed in those strikes, which came barely a month after a botched American raid against the group left multiple civilians and a US Navy SEAL dead. On Friday, US warplanes hit three houses in the Yashbam Valley before dawn, one of them the home of Al-Qaeda's Shabwa province commander Saad Atef, the tribal sources said. Security officials in the area said eight jihadists were killed, and tribal sources said that women and children were wounded. The valley is a Jihadist stronghold and was also one of the targets of the previous day's strikes. Jihadists retaliated with anti-aircraft fire, security officials and tribal sources said, adding that US helicopters took part in the operation. One resident said it had been a "terrifying night". US President Donald Trump faced broad criticism at home after he authorised the January 29 commando raid during which Navy SEAL Ryan Owens and many civilians were killed. As many as eight women and eight children were killed, a Baida provincial official said, drawing condemnation of the raid from human rights groups. The US official said on Friday the latest targets had been acquired long before the January 29 raid, but that some intelligence gathered then corroborated what was already known about the new targets. "What we already knew about these sites was reconfirmed," the official said. Al-Qaeda has exploited a power vacuum created by two years of war between Yemen's government and Shiite rebels who control the capital to consolidate its presence, particularly in the south and east. Pentagon spokesman Navy Captain Jeff Davis said on Thursday that Al-Qaeda had taken advantage of ungoverned spaces in Yemen to plot, direct, and inspire terror attacks against America and its allies. He said Thursday's strikes targeted Al-Qaeda militants, equipment and infrastructure. Another US official said they had involved both fighter jets and drones. Successive American administrations have kept up a drone war against Al-Qaeda in Yemen since soon after the September 11, 2001 attacks. 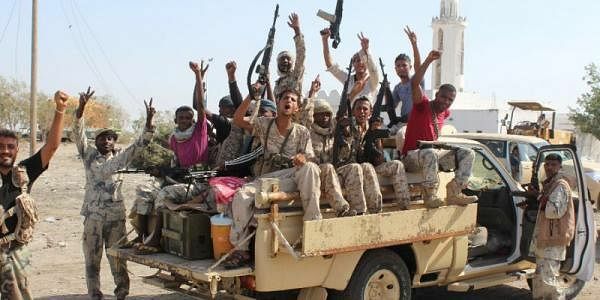 Washington regards the Yemen branch to be the jihadists' most dangerous, and holds it responsible for several plots to carry out attacks in the West.